Zipcar has announced a new partnership with the City of Wilmington to bring its carsharing service to residents, businesses, visitors and students. Eight Zipcar vehicles are now available in Wilmington, Del., for reservation by the hour or by the day. Through this partnership, the City of Wilmington is providing six parking spaces at curbside locations. Additional Zipcars are located near the train station, according to the company. Zipcar's Wilmington fleet includes a variety of makes and models, such as a Volkswagen Golf named "Beetlejuice" and a Nissan Sentra named "Corrigan." "Zipcar is thrilled to be expanding our service to Wilmington," said Kaye Ceille, president of Zipcar. "The city recognizes a need for simple and convenient transportation in and around the city, as well as for those traveling back and forth to Philadelphia or other cities in the region. Now, residents can enjoy the freedom and benefits of having access to a car without the cost and hassles of owning one." 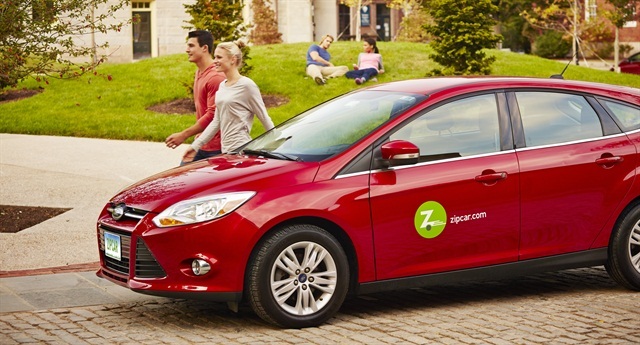 Zipcar's launch in Wilmington builds on its program at the University of Delaware. "I am pleased to see Zipcar come to Wilmington," said Mayor Dennis Williams. "Whether it's to get groceries, go to a business meeting, take a trip to the city's waterfront or just to go for a drive, many people in Wilmington who do not own a car still want access to one on occasion, and Zipcar allows for that in a convenient and cost-effective way. ..."
Wilmington businesses can also benefit through the Zipcar for Business (Z4B) program that offers discounted driving rates Monday through Friday, according to the company.